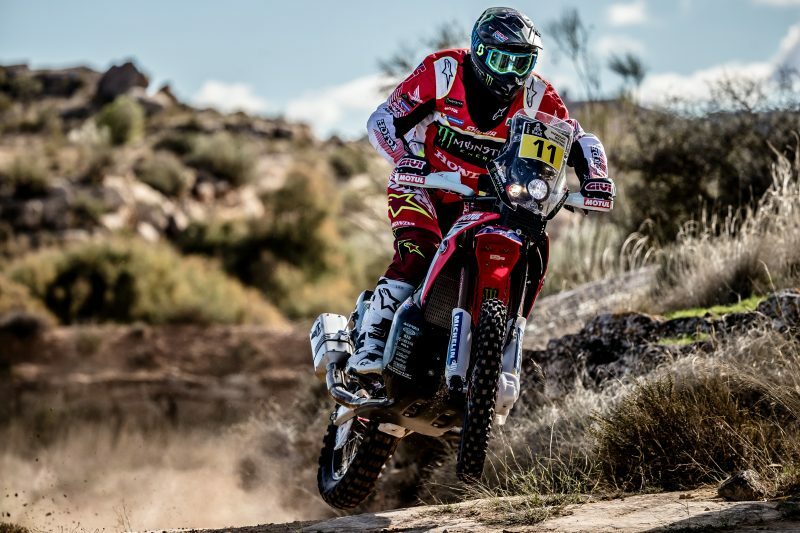 The Baja Aragón – one of Europe’s legendary offroad races – kicks off this week with the Monster Energy Honda Team poised to enter the fray. Incumbent champion Joan Barreda lines up alongside French team-mate Michael Metge, third in last year’s edition. Monster Energy Honda Team return once again to the action. After taking part in the first two FIM Cross-Country Rallies World Championship events in Abu Dhabi and Qatar earlier this year, the team now get the summer stint underway in what could prove to be a decisive period of preparation – one that will ultimately culminate with the Rally Dakar 2018. The first date in the calendar for the team will be the Baja Aragón, FIM Bajas World Cup event, now in its 34th edition. The race takes place in the vicinity of the Spanish city Teruel, kicking off on Friday 21st July after the technical and administrative scrutineering, followed by a short ten-kilometre prologue – the Super Special Stage. Saturday will see the race fought out over two separate sections with a third on Sunday. The total distance against the clock will be 574.2 kilometres with 180 of liaison section. Spaniard Joan Barreda, with number one in the plate, and Frenchman Michael Metge will once again be the duo to represent the team at the Spanish classic. Both Monster Energy Honda Team riders made it onto the rostrum last year: Barreda as victor and Metge, aboard the Honda CRF450 RALLY, taking third place in his first Baja Aragon outing. 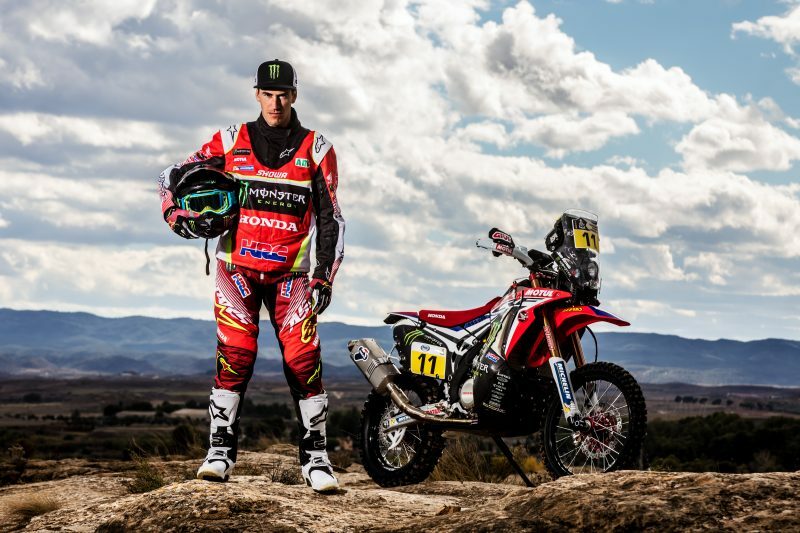 I’m very grateful for the support from Honda and HRC to get me here to this Baja Aragón. It’s a different kind of event as we race with a smaller bike rather than the one that we usually use during the season. But even so, Honda has really supported me to be able to participate here with the maximum of guarantees. I’m also very happy that we have begun the racing programme for this year; we will try and enjoy it with the team and stay as focused as possible on the race and try and find the serious pace that is needed for the big rally raids. Since the last Dakar we have had quite a time without competing. I’ve been training on the motocross and enduro bikes and I can’t wait to get back on the rally bike. Last year was my first time at the Baja Aragón and I liked it a lot as it is a race with no navigation, but with great tracks where you can really get the speed up. 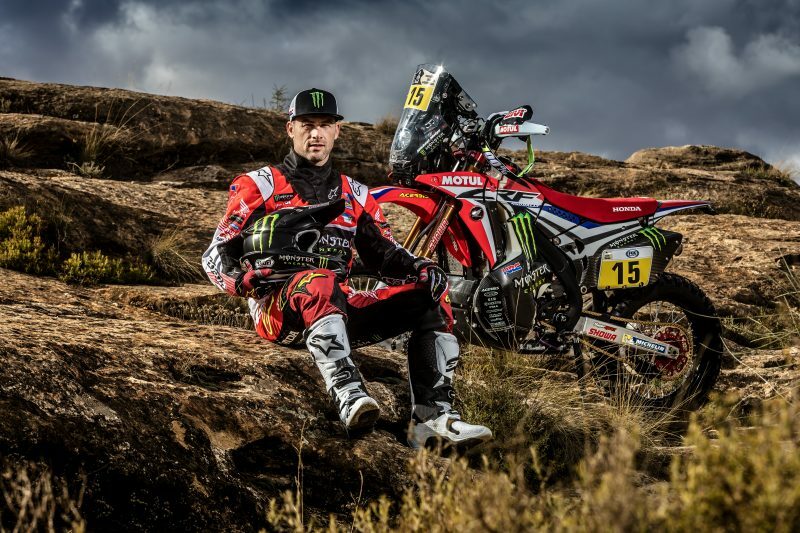 It’s great training for the rally and I’m really happy to form a part of the Monster Energy Honda Team whose main goal this year is the Dakar 2018.